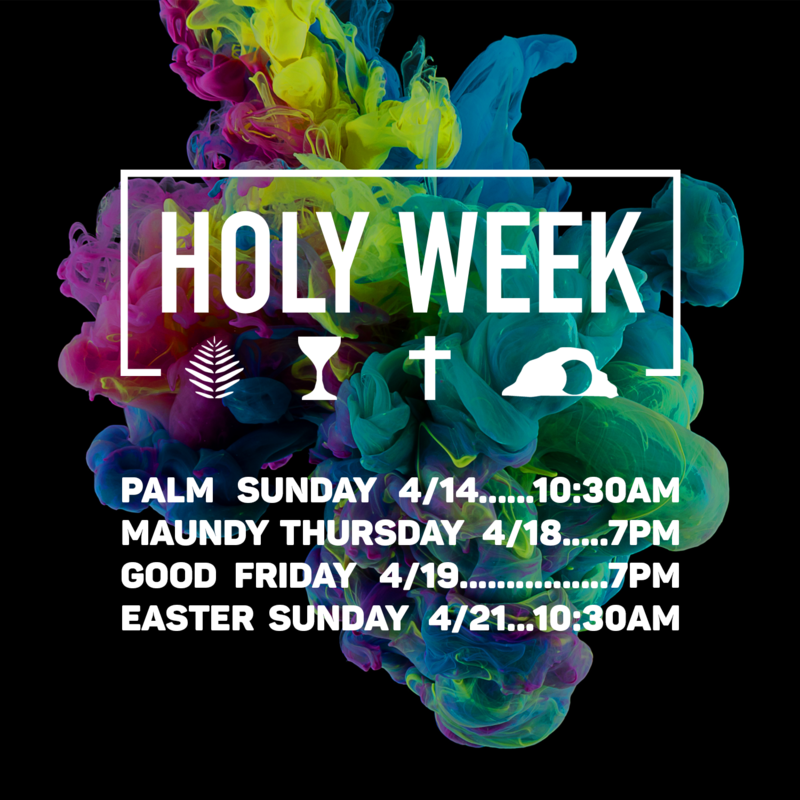 Holy Week begins each year with Palm Sunday, the day on which we observe Jesus triumphal entry into Jerusalem. We will begin worship at 10:30am, all are welcome. Children will be invited to participate in worship by parading with palms during our opening worship music. On Thursday we mark the Last Supper before Jesus was crucified, during this supper Jesus introduced communion and he washed the disciples feet. During this service we practice both the washing of one another’s feet as well as communion. Good Friday is the day on which Jesus was crucified and died after being betrayed by the Jewish authorities at the time and then executed by the Romans. This service is oriented primarily towards adults, children are welcome to join at their parents discretion. There are elements of Jesus’ crucifixion that were gruesome and are difficult to stomach, this service tried to do justice to the reality of the event. Easter Sunday is when we celebrate Jesus resurrection on the third day and thus his victory over sin and death. We will have an Easter Egg hunt for children of all ages to enjoy and participate in.